The Halo: Reach multiplayer trailer has finally landed and oh my god does this look good. Diving rolls, assassinations, new weapons and so much more. Is that a sticky grenade launcher? Crazy! Half-way into the video, we catch a glimpse of the new multiplayer modes such as Invasion and Headhunter. We get to see some of the new equipment items too, such as the jetpack and a personal Bubble Shield-type device. I'm loving what I'm seeing here. What about you? 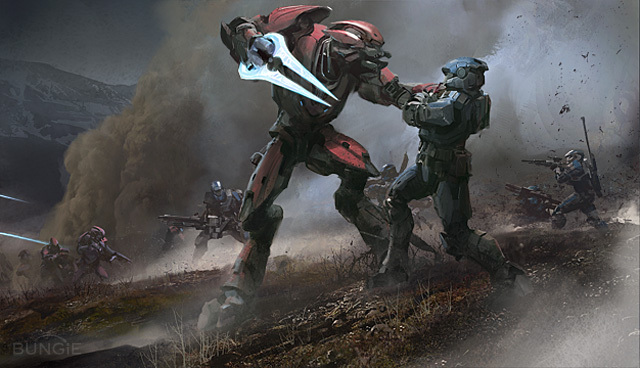 May 3 can't come soon enough for the Halo: Reach multiplayer beta.